While inspecting our hive this weekend we found some queen cells – a possible sign that the hive might have been preparing to swarm. We made a quick decision to attempt a split. 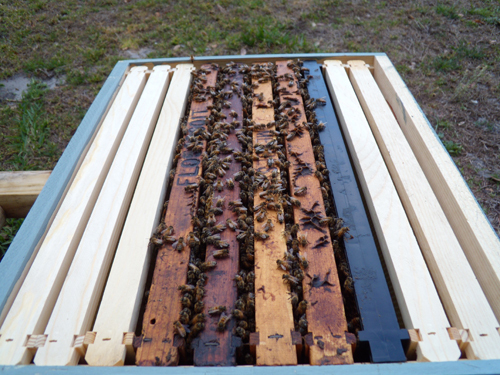 We moved these new queen cells into a nuc hive along with a few frames of brood, bees and food (honey & pollen). Now time to wait and see if it is successful. 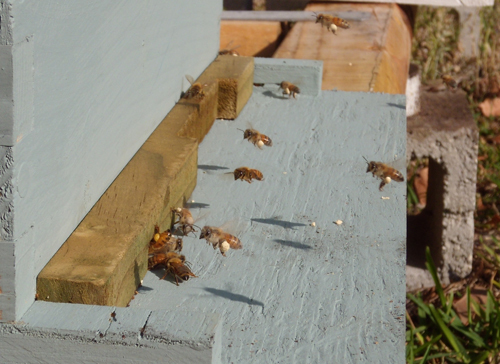 I went out this morning to check on the new hive and I was so delighted to see my girls bringing in lots of pollen! You see all the white puffs on their legs? That’s the pollen. I know I haven’t posted in a while, but it has been rather quiet with our bees. We tried splitting our one hive, but it was not successful, and we had to combine it back with the original hive. 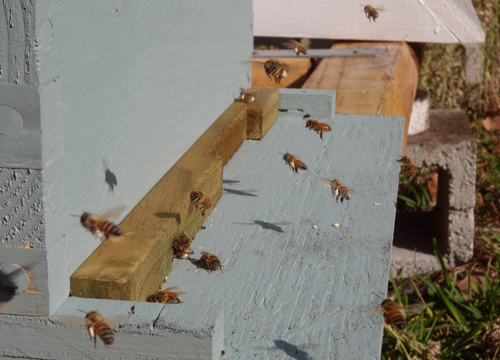 So we have been here with our one hive…until today. We got a new hive! All thanks to a new program called Pay It Forward by Bee Understanding. 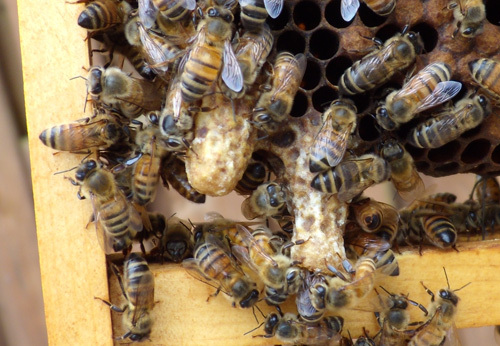 Bee Understanding is a non-profit organization dedicated to the understanding, education and promotion of honey bees and beekeeping. 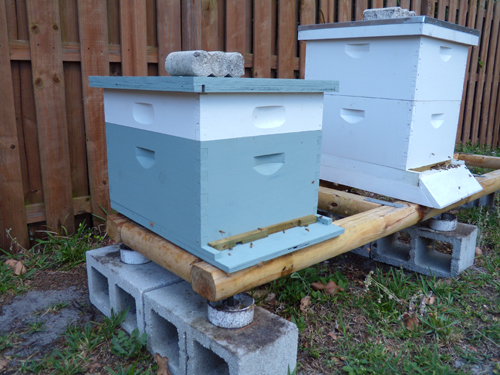 The Pay It Forward program gives away a free starter kit, consisting of a hive box, bottom board, lid, frames and working bees to beginner beekeepers in the South Florida area. For more information on the program, visit www.beeunderstanding.com.